Learn the Alphabet with the help of some friends. 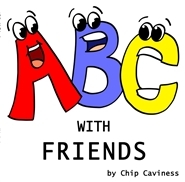 There is a book called 'ABC with Friends' by Chip Caviness, that help to learn the English Alphabet. 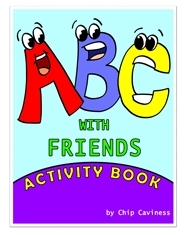 This is and Activity Book adaptation which allows young people to learn how to Connect the Dots, Find There Way Through Mazes, Trace Letters, and to have fun and Fully Color any pages of the book. TJ hears a mysterious noise that sparks his imagination.This book was written to increase young children's reading skills through pronunciation. TJ goes on an adventure.